It's everyone's eternal New Year's resolution to eat healthier. But with all the temptingly unhealthy food choices out there, this resolution is the hardest and most difficult to keep. I think one of the reasons why we've always failed at this is because we attempt the impossible by making big, sudden changes to our diet. So, this time we are taking baby steps, starting with what is known as the most important meal of the day- breakfast. She Said: Bianca and I are not big breakfast eaters. We prefer a light breakfast of fruits, yogurt, toast with jam or cold cereal. So this year, instead of reaching for a cereal box laden with sugar and artificial flavors, we'll try to make better choices like whole grain, heart healthy oatmeal. 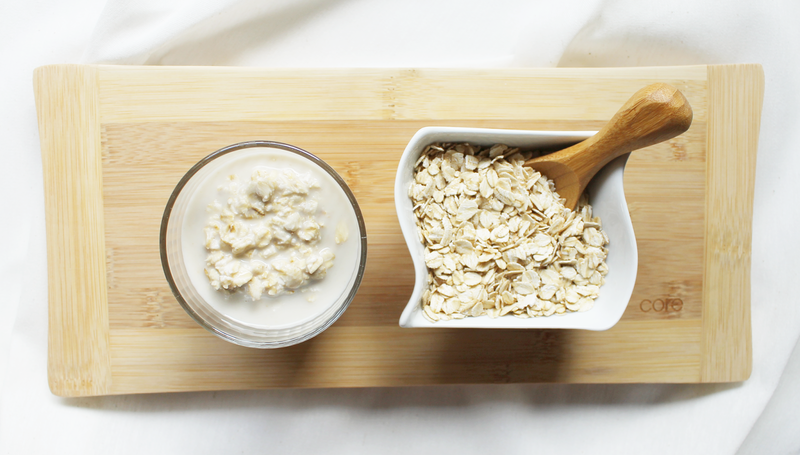 Oatmeal has long been proven effective in lowering blood cholesterol. High in dietary fiber and phytochemicals that have been associated with protection from chronic disease, it is the obvious choice for the health conscious. Overnight oats became popular a few years back and are made by simply soaking whole rolled oats in milk overnight in the refrigerator to let them absorb all the liquid. It will be ready when you wake up in the morning. No cooking required! The most common recipe is equal parts rolled oats and milk. This is your base. And now for the fun part! The toppings and mix-ins are all up to you: before they go in the fridge, you can add yogurt, sliced fruits, chia seeds, a pinch of salt or cinnamon powder, or some vanilla extract. You can customize your own by using different kinds of milk, like soy, almond or even coconut milk and experiment with different kinds of toppings. she said: I love cold oatmeal! I prefer adding the sliced fruits in the morning, but it's totally up to you! You can also warm it up in the microwave, if you're not a fan of cold oatmeal. 1. In a mason jar or bowl, combine oats, milk and chia seeds. Cover with lid and keep in refrigerator overnight. 2. 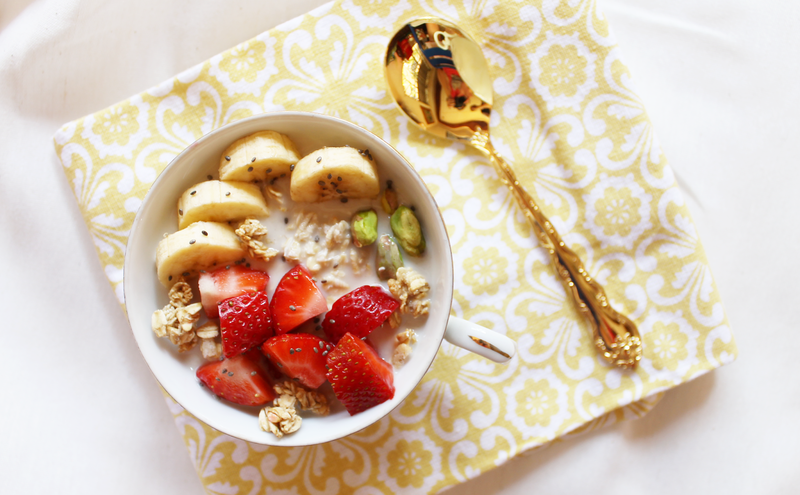 In the morning, scoop out soaked oats into bowls. You can add more milk, depending on how thick or thin you prefer your oatmeal to be. Sweeten according to taste with honey or maple syrup. 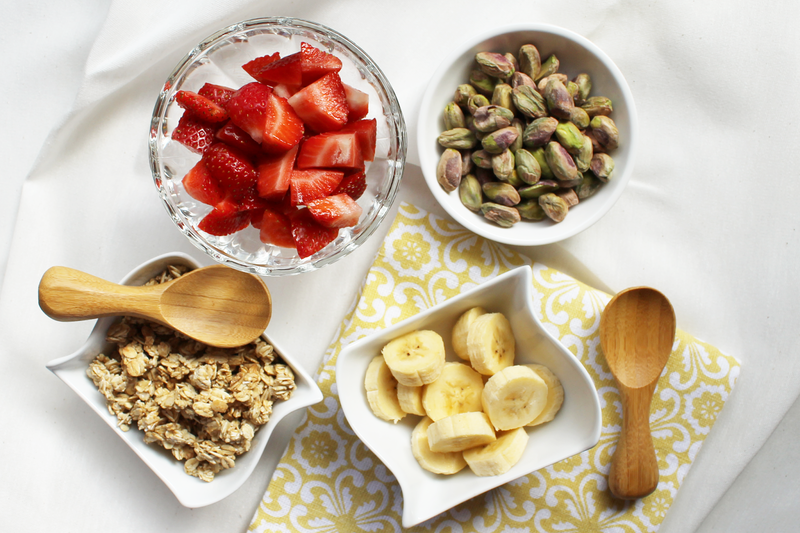 Top with your choice of fruits and nuts. Oatmeal can keep for 3 days in the fridge.